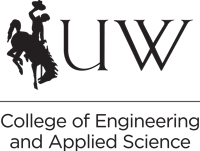 Industry partnerships have pushed the University of Wyoming’s College of Engineering and Applied Science to the national forefront in research and education. Most recently, UW announced a transformational investment of $15 million from Hess Corporation, bringing its total investment in UW since 2013 to $25 million. This makes Hess the single largest corporate partner in the university’s history. Hess is an industry leader in unconventional reservoirs of oil and gas with premier acreage in the core of two prime U.S. shale plays -- the Bakken and the Utica. Hess’s $15 million commitment includes $5 million for the High Bay Research Facility, $5 million for sponsored research on unconventional oil and gas reservoirs, $4.5 million for equipment and technology within the High Bay Research Facility, and $500,000 for laboratory performance development. The state of Wyoming will match $14.5 million of this gift through the state matching program. Other notable events in recent months include breaking ground March 9 for the High Bay Research Facility. The facility is funded by $37.2 million in state dollars and $16.3 million in private contributions, with an additional $9.2 million in private gifts for research equipment. 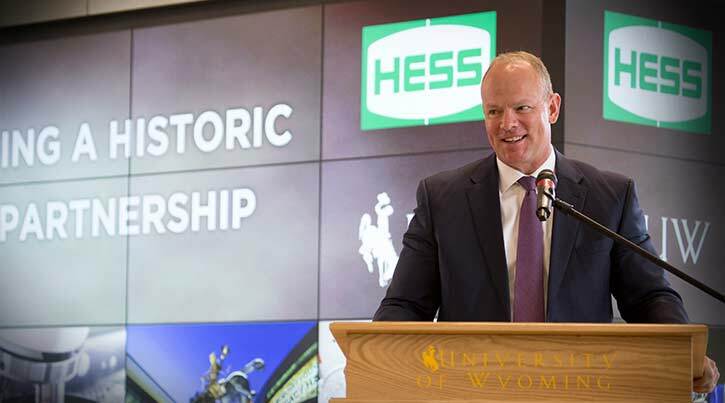 The private funds have been invested by UW’s most significant corporate partnerships with Hess Corp., Halliburton, ExxonMobil, Ultra Petroleum, Marathon Oil Co., Shell, Baker Hughes and Arch Coal Inc. The Legislature has matched these gifts with a $15 million appropriation to complete funding to build the High Bay Research Facility—with construction expected to be completed in summer 2016. This facility will host fundamental research on critical aspects of unconventional reservoir characterization and development. Over the long term, it will accommodate other large-scale experimental configurations in a semi-industrial setting. In the 2014 Wyoming legislative session, the governor and the Legislature set aside $10.5 million to match industry investments for technology and equipment for the High Bay Research Facility. Wyoming Gov. Matt Mead and the Wyoming State Legislature approve biennium funding of $8 million for Phase 1 of the Engineering Initiative, in addition to the $18.4 million for facilities development. Gov. Mead and the Wyoming State Legislature approve biennium funding of $8 million for Phase 1 of the Engineering Initiative, in addition to the $18.4 million for facilities development.